Classic play with a fun new twist! 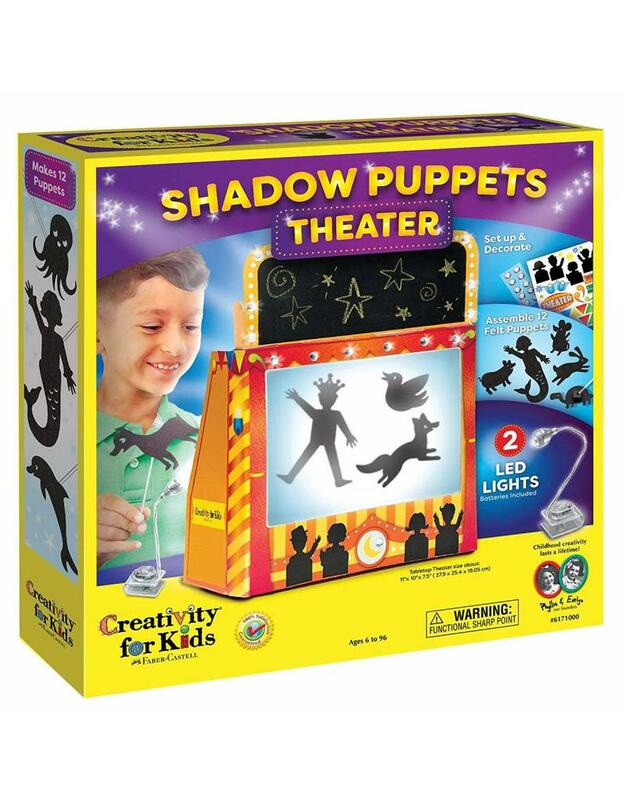 The Shadow Puppets Theater comes with everything you need to put on your very own show! 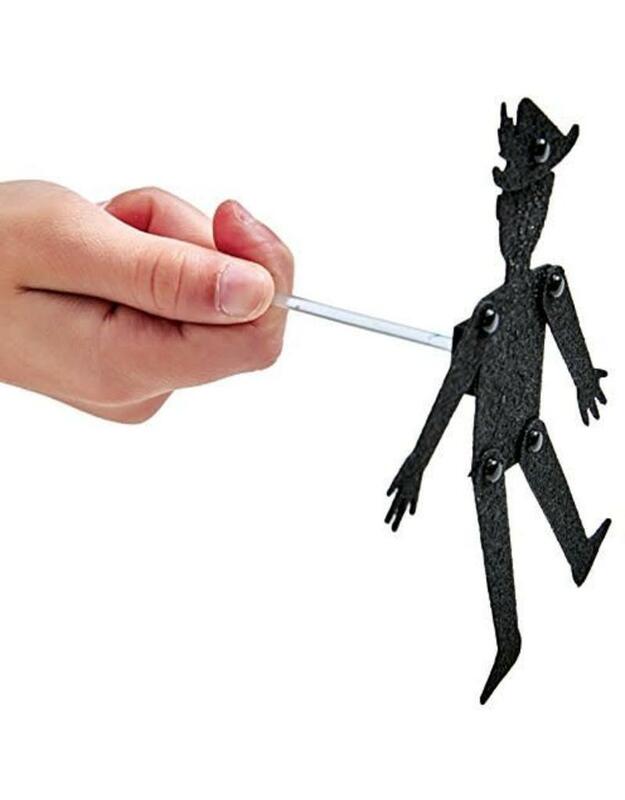 Comes with everything you need for your puppet show. 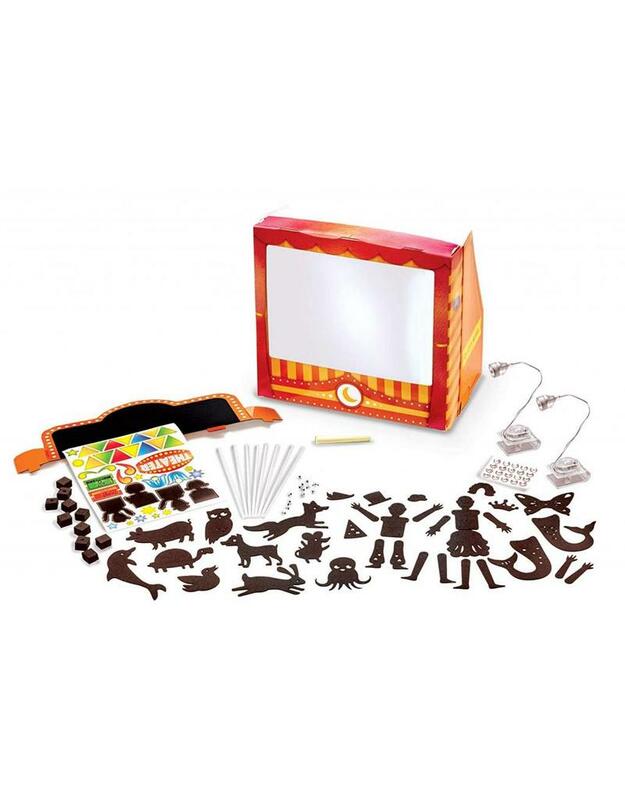 Includes: sturdy cardboard theater, 2 LED clip-on lights (batteries included), 12 customizable felt puppets, puppet sticks, stickers, rhinestones, chalkboard marquee and yellow chalk. This open-ended activity is perfect to let your child's imagination shine through. 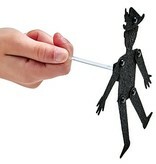 Customize your puppets with interchangeable arms, legs and accessories and decorate your theater with stickers and chalk. 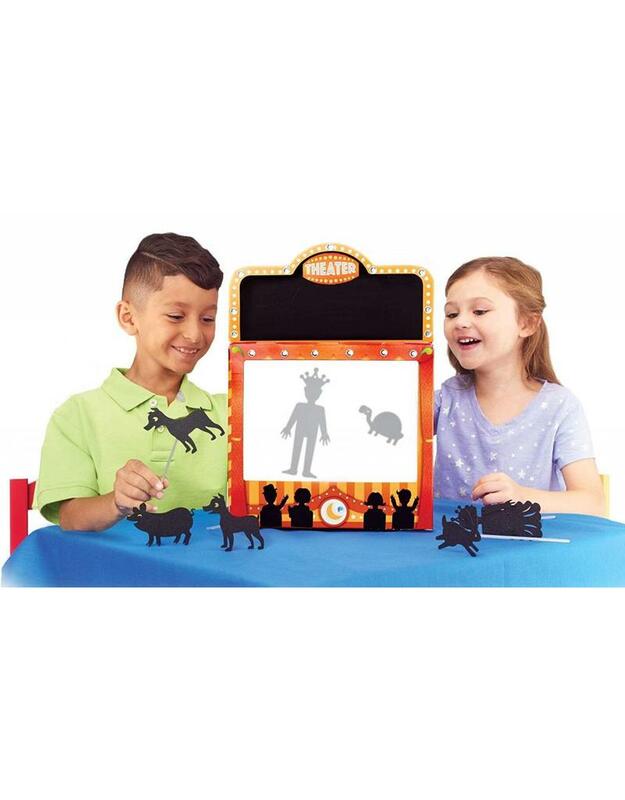 This puppet theater set is the perfect small group activity that encourages imaginative play and storytelling while building communication and fine motor skills. 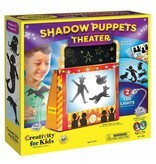 Tabletop shadow puppet theater measures 11"W x 10" H x 7.5" D.
Recommended for ages 6 to 96.